This is my kind of book! Bit of history, bit of love, lots of culture and peoples stories of survival! A beautiful love story and contemporary fairytale set against the backdrop of the Iraq war, this stunning and moving novel will break your heart, only to put it back together again! 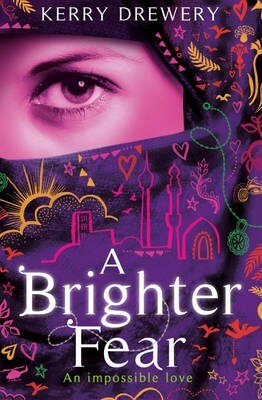 This is the story of Lina, a teenage girl from Baghdad. It starts in 2003, as the bombs begin to fall on the city. In it, Lina fights to survive, to find a life for herself amid the chaos of war, to find what happened to her mother in the years before the war, when she was taken away by the secret police. She also falls in love, with the one person she should never have fallen in love with. It is many things. It is a love story, both for a country and for a person. It is about an amazing girl, growing up in the worst circumstances imaginable. It contains a necklace, that was lost but might still be found. And that is all we can say, without ruining this extraordinary and beautiful modern fairy tale! An epic quest to discover the secrets of the worlds greatest runner. One can only assume that in a few weeks we will see the Kenyans take to the streets of London in the Marathon, and own the Olympic Stadium in the long distance track events. How can a people from such a poor nation,with no high performance technologically advanced training centres that have funding from mega multinational bodies- win ? I have been to Kenya and they do run everywhere, but does that make an Olympic Champion, every Olympic year. 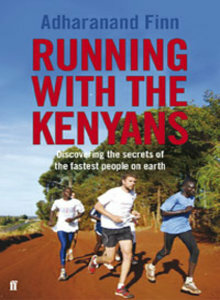 This book is both an investigation and a personal journey, Running with the Kenyans is for everyone who's ever wondererd why the Kenyans are so fast- and what they might teach us. In the mean time- I will brush up on the words of the Kenyan national anthem because we will be hearing it a lot coming from the winning podium of the London Olympiad. 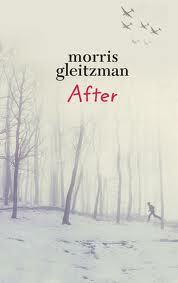 Genre: Well its a whole new one- Youth fiction and Cancer. Must be the third book in as many months now on this topic I have blogged. BUT this book is as irreverent as Radiate is holy. 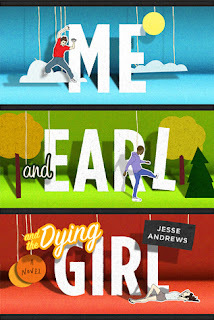 I am sure that we have a perfect trio now for a thematic study, John Greens Fault in our Stars, Radiate by Marley Gibson and now this title. All feature teenage kids dealing with various forms of cancer and they all take a different approach, the power of love, the difference of faith and the gift of friendship. 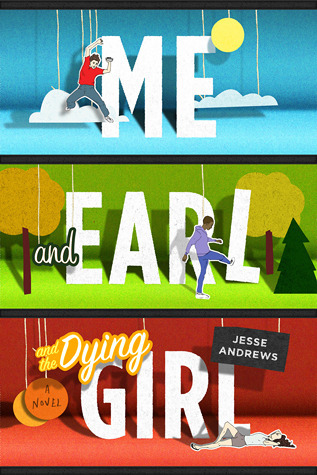 This book ME and EARL and the Dying GIRL takes an honest self-deprecating sometimes callous and humorous look at a mate who has cancer. This book has rave reviews, it makes people laugh, but in my viewing the language was a bit off putting. maybe I am a nerd, but sometimes I have enough of just plain crass. Up until senior year, Greg has maintained total social invisibility. He only has one friend, Earl, and together they spend their time--when not playing video games and avoiding Earl's terrifying brothers-- making movies, their own versions of Coppola and Herzog cult classics. Greg would be the first one to tell you his movies are f*@$ing terrible, but he and Earl don't make them for other people. Until Rachel. 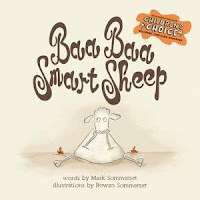 This is such a cool picture book and helps to answer the age old question of what love really is. And what we discover it is really about who you ask? So is the book as good as the movie? Yes I know that this is not really a book for teens, but the movie so so quirky, and I love India and maybe I can convince some of you to use it for thematic studies on "fear of aging" or something. Then again- maybe some of your teachers may want to retire to India and need a guide book. What I do know is India has stories for Africa, the smells, colours, history, sounds and peoples faces all tell stories, have plots, and portray a window of human nature. India makes you feel really alive and for these 7 elderly folk it did just that- except for the one who died and he felt I assume- dead. 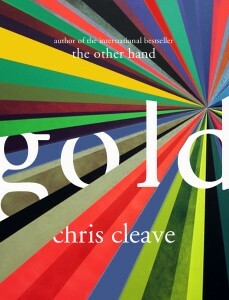 Life and love, youth and the aged, the Brits and the Indian people, order and chaos- yes this book will have it all. It will be perfect with a bit of curry, a splash of car horns and an outburst of gregarious colour! What makes a sportsman, a kid from an ordinary home become an international super sports star- what creates that kind of transformation. What collides to change an ordinary kid from a small town, into a golfer who wins an American Open, a tennis player who wins Wimbledon, a Formula One driver who wins Monaco, because all of them were once kids who ate breakfast, went to school and played around with their mates. Maybe reading these sports biographies I have been getting into the library will help us understand why some kids are world beaters! 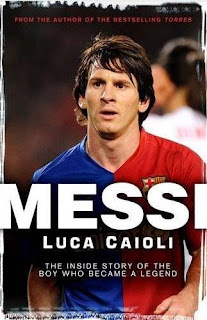 Will Lionel Messi be the greatest footballer of all time, at the age of 24 he has already been named the FIFA World Player of the Year in 2009 and 2010. He is fast, elusive and mesmerising. This is the inside story of the boy who became a legend, an Argentina hero and a Barcelona great. This is a story of a kid who ate breakfast, went to school and is now a soccer superstar. So why is a High School buying picture books for kids!! Because they are cool!!! This one is real cool- the sheep reminds me of my son- he is such a sweet talker he could persuade anyone to do anything, AND he gets bored, AND he has hair like a sheep. The turkey reminds me of all those people my son has sucked in, the gullible in our midst. The Smarty tablets remind me of - well- ****. The Whale Road, The Wolf Sea and the last in the trilogy The White Raven- make up the Oathsworn Trilogy. Vikings- yes they are in my families blood- in fact my husband carries a known trait- a crooked little finger. 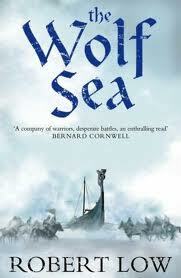 These books are about life on a savage Viking crew that fight hard, drink hard and always defend their own. They are a brotherhood called -Oathsworn. They are fiercely loyal but they also are adventurous- searching for relics, hunted cursed treasure and sailing treacherous waters. Bernard Cornwell says " A company of warriors, desperate battles, an enthralling read" Willaim Napier calls these books " Historical writing at its best". I wonder if any of the characters have a crooked litle finger? To defeat the Nazi's after all." How would I cope if my lower legs were chopped off, I am short enough anyway!! Oscars parents at his birth had to decide to amputate his lower legs in the hope their son would be able to live a normal life- he was born with no fibulae. His Mum said to him in a letter " A loser is not one who runs last in the race. It is the one who sits and watches, and has never tried to run". 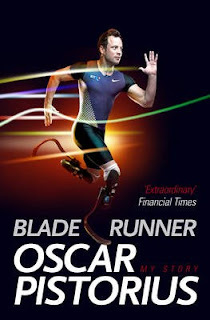 Oscar runs- the most likely flag bearer of the South African Olympic team . A legend who now competes in the 400 metres- the hardest race to run- on the worlds centre stage. To get there, the London 2012 Olympics, competing against able bodied athletes is a true story of courage, guts, and inspiration. Oscar Pistorius has admitted he is fed up with critics questioning his right to compete in the Olympics. 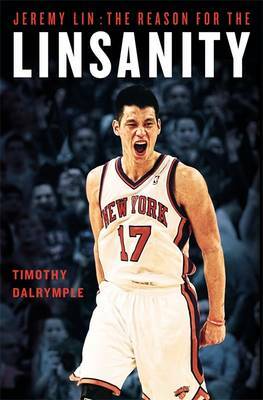 This book is his story. Be inspired! I was excited- I found this book in a bookshop in India- stoked!! 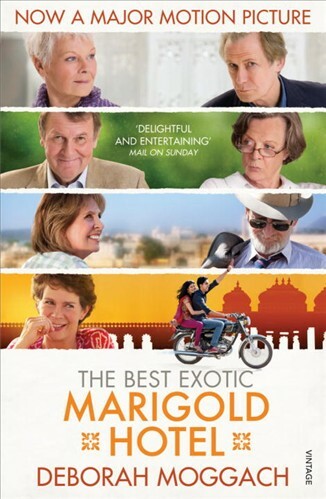 It was cheap and on the cover it reads " For sale ONLY in India, Bangladesh, Nepal, Bhutan, Sri Lanka and Pakistan". I had a book by a well known author- bought cheap and ONLY in the sub continent!! Only thing is- it was also on sale at my local bookshop here in New Zealand- oh well, mine copy has a story! So what is Gold about? It is about competing in the Olympic Games, it is about going for Gold. The event is Woman's Individual pursuit- in reality- won by my own towns' Sarah Ulmer, but in this novel by Zoe Castle. This is another reason I am excited about this book- because every sport loving person in this country will never forget Sarah Ulmers race- ever! But is more more than bike racing- it is also about fighting for life- and fighting against child cancer. This review sums it up..
AND- it has a fantastic cover!!!! This guy is a legend, New Zealanders are not huge fans of NBL, but this guy is known- he has a reputation- and its good. So I got this book specially cause I want to know why? What makes him tick, what drives this guy? He is not a world class player- but he has guts and determination that makes teams he plays in shine, and today I hear he has switched to another franchise who want his sparkle.
" 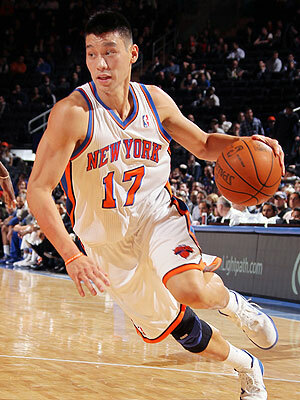 The more you understand about Jeremy Lin, the more you'll agree. The story of his journey to the NBA is just as improbable as the story of what he did once to get there?" Maybe it has something to do with his faith "My audience is God". Whatever it is- I am keen to read this book and find out why Jeremy Lin has a cult following and hopefully employ some of that in my own game of hockey!!! Curry, heat, monkeys and mango's.. I am back from India, the colour, cacophony, the assault on your senses all linger as I sit here back in my ordered world. My son asked me what my 'stickwithyou moment " was. Good question! One of three. First the hunger of some of the teachers to get their hands on the books I had taken over about the Olympics. There fingers were twitching arms out, they WANTED those books. I asked them how they and their students access information- they can't, don't and yet so want to. Secondly- a young eight year old girl at a school we visited, so poor, covered in sores, minimal food, yet pleased she was allowed to go to school and learn. Here is hoping a meaningful education will allow her to break free of the poverty that finds her hopeless. Last one- in the heat and downpour of the monsoon, finding ourselves in this bookshop, dripping soaking wet. This bookshop had every new book you could think of, stacked cover on cover maybe 20 high, it had Game of Thrones, Rick Riordan Books, Hunger Games- I was surprised. But here is the thing- in the schools we work with, families have $50.00 a month to live off, so books are a non thought, a dream, a luxury. They are there in India- but not for those that worry more about shoes for kids, the cost of rice and dahl, and if they can rustle up school fee's. So what is my response- well I need also to rustle up some funds to buys the books that are there and donate them to the schools for the kids to access free. In the mean time- I will look out my window here at work and gaze on the over 10,000 books in the library and hope the kids here value what others cannot have. It is good to be back, but the movies in my head play the scenes of another land. Maybe I need an intermission!